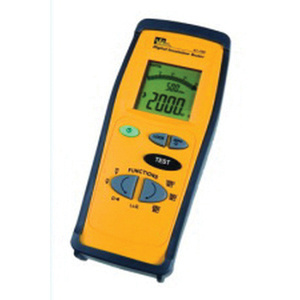 Ideal Industries Hand-held insulation tester is designed for testing voltage rating of 0 - 600-Volt AC/DC. This tester comes with auto discharge, auto power OFF, auto ranging, protective rubber boot and lower battery indication features. It is suitable for checking existing installations and motor windings for breakdowns in insulation. Tester is cULus/N12966 listed, CE certified and Cat IV safety rated.